As you get older, for a variety of reasons, you may start to think about moving home. Maybe the family home is really too big and you’re thinking of ‘downsizing’ and using some of the profit to pay for more holidays. Or maybe you’re not quite as nimble on your feet (or you’ve decided to stop driving), and you’d like to live nearer to a local transport network. Whatever the reason, it is important that you consider what your future lifestyle might be. Perhaps your family are hoping you’ll go and live with them. Maybe, following a bereavement, you’re experiencing living on your own for the first time. This can be a challenging experience. For some, it will be a chance to embark on a new venture, while for others it will be a bewildering experience of loneliness. You may feel that you would prefer to live near the company of others of a similar age. So, the idea of ‘sheltered’ housing may appeal. Sheltered housing generally consists of accommodation for elderly or disabled people which provides private independent apartments with some shared facilities and a warden. Sometimes this type of housing is advertised as retirement homes; often arranged in one building or a small ‘village’, with a communal sitting room and laundry facilities. This provides residents with an independent lifestyle in a safe environment and with the knowledge that, should an emergency arise, there is a warden on duty to provide assistance. Living in your own home can be a source of comfort and give you the opportunity to maintain your independence. However, there may be times when you need the support of others. This may be due to injury after an accident, or following an admission to hospital or just because of the natural progression of ageing. If you just need some help with house cleaning, and if you wish to organise it yourself, there are several companies in the district who provide this service. Where possible, particularly if you choose a self-employed person, you should try to obtain a personal recommendation from another client. If, however, you need assistance with tasks of a personal nature e.g. bathing or getting dressed etc, you will require an assessment of your needs. The local council’s social services department can assess you in your own home and there is no charge for this. For more information about assessment for community care services click here or follow this link. It is important that you read about the financial options available to you so that you can make an informed choice. In recent months, there has been a lot of publicity about the possibility of capping the cost that individuals pay for their care. However, in a new report by the Consumer Association, there is evidence that local councils have changed the requirements (level of need) for offering care and have scrapped the caps which limit care bills . If you have a family member who can care for you, they should also have an assessment of their ability to provide the care you need and also to ensure that their health and wellbeing is protected. The assessment of carers’ wellbeing is one of the principles which have been stated in The Care Act 2015. On the other hand, if you are a carer there are advice sheets for carers e.g. 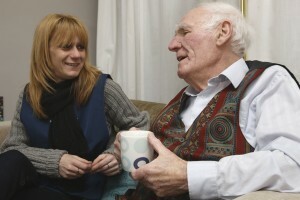 from Age UK and also organisations such as the Carer’s Resource who provide support for carers. You may also find out more about your rights as a carer on the Carers UK website. In 2016 the Care Quality Commission published its report ‘Better Care in my Hands’ which highlights the importance of people’s family and loved ones being involved in the planning of care and support, as they wish. Following this, the CQC published its information on ‘Visiting Rights in Care Homes’, which discusses some regulations which protect care home residents and those who visit them. The Government and other agencies are keen for people to be cared for in their own home for as long as possible. However, for some people, remaining at home is no longer a safe option, even with the advances in telecare. It is important the you get advice about long-term care. If you can, you should consider planning for your future. Moving into a care home presents its own challenges. Which home should you choose? What is the cost? Who pays? etc. The Care Quality Commission (CQC) has the responsibility of inspecting care homes and publishes its reports. If you want to read about a care home, you can search via the CQC website. (You can enter the name of a home or search via a town name and select type of facility). The cost will vary according to the type of facility and the care which is required. The cost of residential care is borne by the resident, unless a financial assessment by the local council’s social service department finds that the resident is entitled to total or part funding. It is sometimes possible for family to pay top-up fees, if the means-tested funding does not meet the cost of the fees of the care home of your choice. NHS funding for continuing care is available for people who meet the criteria and who have been assessed as eligible. Further advice about funding long-term care is available from companies and organisations such as BUPA, Alzheimers Society, NHS Choices, and Age UK. New guidance to help people living in care homes has been published by the British Geriatric Society (BSG). You can also check the Care Quality Commission’s inspection reports of care homes. A new standard of care for those with dementia is being launched. The ‘Triangle of Care’ promotes the involvement of the patient, carer and healthcare professionals in providing improved care. The importance of the carer, as the person who knows the patient best, is emphasised. The Triangle of Care highlights six key standards, which have been identified by people with dementia, their carers and healthcare professionals. Click Triangle of care for details.